It’s been a horrible habit… with minecraft comes responsibilities. Sadly I see those in game more important than actual life soooo I went to sleep at 4am again T.T DANG MINECRAFT! I just wanted to finish my house in the sakura groove! It’s getting there =3 I’m excited~ The hard part is that the house is mainly glass so I still need to farm so much *-* Other than that…. I just love how she writes it all…. so very descriptive…. Though this book is so huge!! But this is so worth it!! 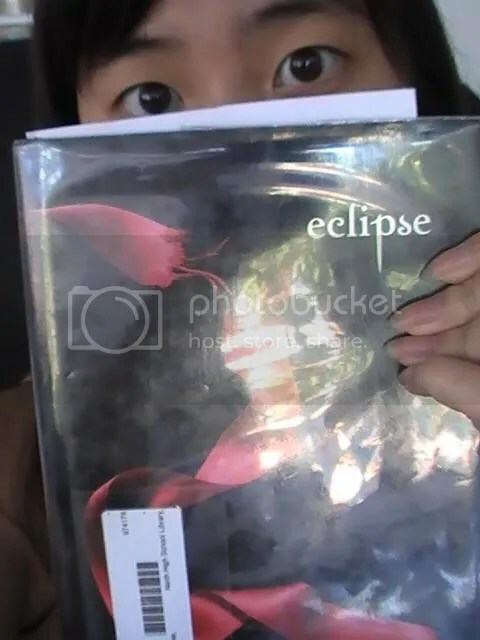 Though couple friends did catch up with my after school there, Tarei (a close friend), found Eclipse for me at the library! Cause I never really go looking for a partticular book… I just pick up a book if I think it’s interesting. And since I have read the first two books of this series, why not finish it right? I really love this series because it is so captivating. Also mix fantasy with romance… you have me there! 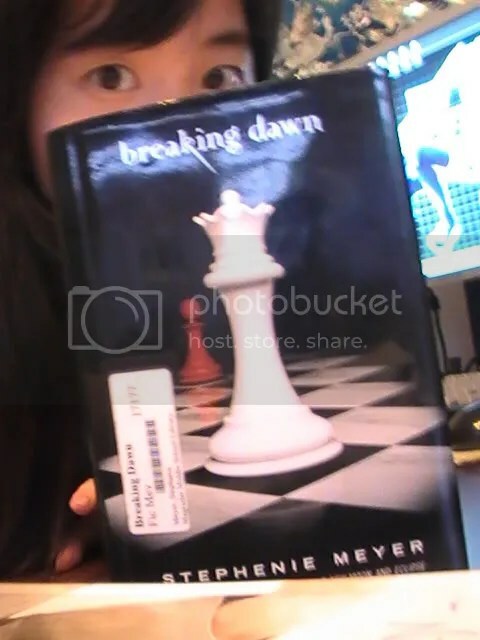 So I’ll be slowly reading this book…I have 3 weeks. I could finish it in like 2 days, but I have homework… SAT studying… RE Test to study for… cosplay… practicing music… and DDR! !